It’s been awhile but AJ Cosmo and I were able to catch up again. Writing groups are great ways to keep you FROM writing. AJ’s next book is called Hugs and was written for a mom who is reader of AJs. I learned from most recent book The Return of the Professor that new books really do help increase sales. Also that I should have added pronunciation guide for Dolbin School. It’s pronounced DOLE-bin (long o sound.) I stole the name from Dolby Labs. When writing the original book in 2013, I needed a name for the school and I have movie posters in my office and I saw the Dolby Labs logo and I adapted name. Writing books for me has become enough to consider it a part-time job. We both are not fans of Scrivner writing software. When you spend more time trying to learn the software opposed to writing, well, that’s a problem. There I said it. Glad I got that off my chest. I also talk about the rule that Report cards can only be given out at a certain time on the last day of school, plus AJ spouts his disappointment that Jar Jar wasn’t in The Force Awakens. And you can pick up my latest book The Return of the Professor. This entry was posted in Indie Writing, Interviews and tagged AJ Cosmo, Dolbin School for the Extraordinary, The Return of the Professor on June 26, 2016 by mctiller. The first proof arrived today. Hugh Howey does unboxing videos. I am lazy and only do stills when new books arrive. The first proof for The Dark Cloud Rises arrived today. I still get smiles when I see a new book arrive. Creating a Kindle book is great, but seeing a paperback in your hands is something else. This entry was posted in Announcements, Indie Writing and tagged Dolbin School for the Extraordinary, paperback, The Dark Cloud Rises on April 15, 2015 by mctiller. It looks like I am going to gradually be leaving exclusivity of Amazon’s KDP Select. The books will still be available on Amazon, but soon they will be on Nook and Kobo. Apple will take a little longer but eventually. Because you know, Apple. I have written before about leaving Amazon exclusivity. Some of my concerns remain. Amazon is just better than everyone else. They’re the New York Yankees and everyone else is playing softball. But things change. So first up Dolbin School for the Extraordinary is now available on Kobo, Nook, Page Foundry and Scribd. Exclusivity to Amazon can be beneficial for some books and some authors. For two years it was useful to me. If I ran a free promo or a Kindle Countdown then I could almost always count on some sort of bounce in sales. But over the last few months that has been less of a guarantee. I liked the idea of the Kindle Countdown Deal, but Amazon went and hid the countdown deal on the Kindle. The Kindle Countdown link used to be on the front page of the bookstore on my Kindle. Then it was hidden in a Kindle Deals link. So not only was any book I had on sale hidden, so was the category that the book was in. The trade off in exclusivity had run out for me. Kindle Unlimited I have mixed feelings on. I like that I get paid if someone simply opens the book. When the program began a reader had to read through 10% of the book before I got paid. Also the amount I got paid for a borrow changed. Before Unlimited Amazon was paying around $2 per borrow through the Amazon Prime Program. But in October I got paid $1.33 per borrow. Nothing wrong with that, but when I calculate $2 per borrow that’s a big drop in income. I have nothing against exclusivity if I get something good in return and over the last six months those good things have slowly disappeared. Now things change a lot in this business, so maybe a year from now things will be different. Plus now that i have several titles available that will allow some room to experiment. Put new books in for the exclusivity and see how it goes, and then adjust as necessary. I have added a very simple page. if you are making an indie book and need help please contact me and let’s see how I can help. Get free short stories and free books if you sign-up for my Insider’s List. You get future books for free before they are available in stores. This entry was posted in Indie Writing and tagged Amazon exclusivity, Dolbin School for the Extraordinary on January 17, 2015 by mctiller. 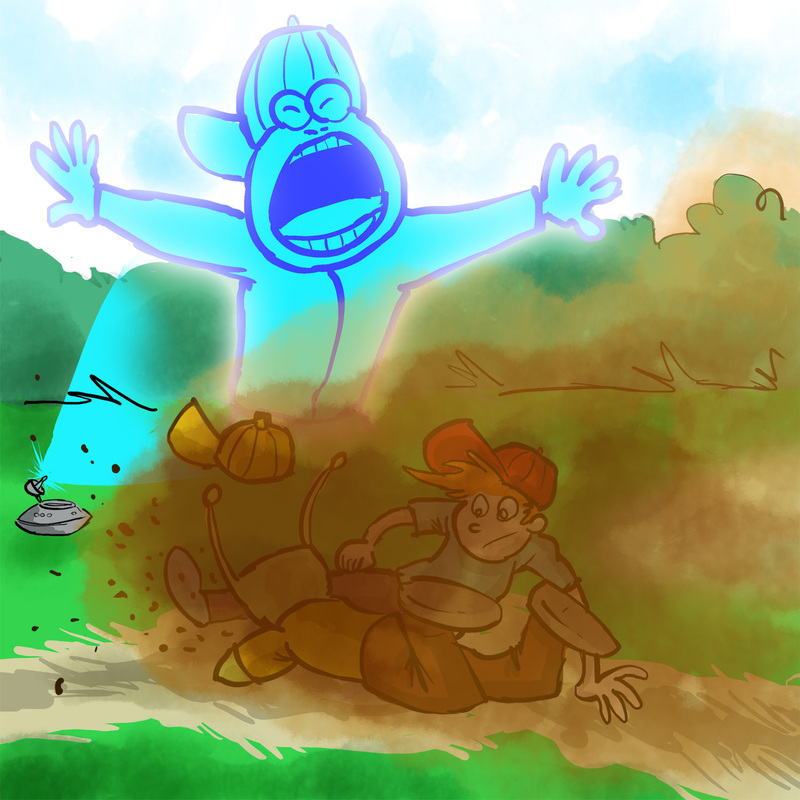 Here is a new illustration from Baseball and Aliens. Check out John’s Tumbler here. If anyone wants to help start a company that makes Holographic Umpires let me know. You can pre-order the book here. It will be released at the end of September. 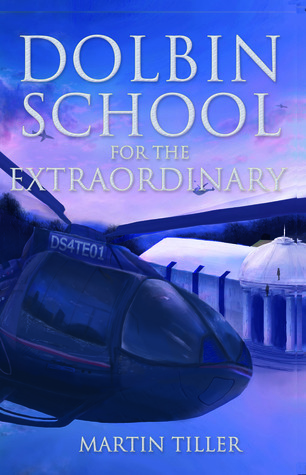 Also Dolbin School for the Extraordinary is a Kindle Countdown Deal this week. Check it out for 99 cents. This entry was posted in Announcements and tagged 99 cents sale, baseball and aliens, Dolbin School for the Extraordinary on August 20, 2014 by mctiller. 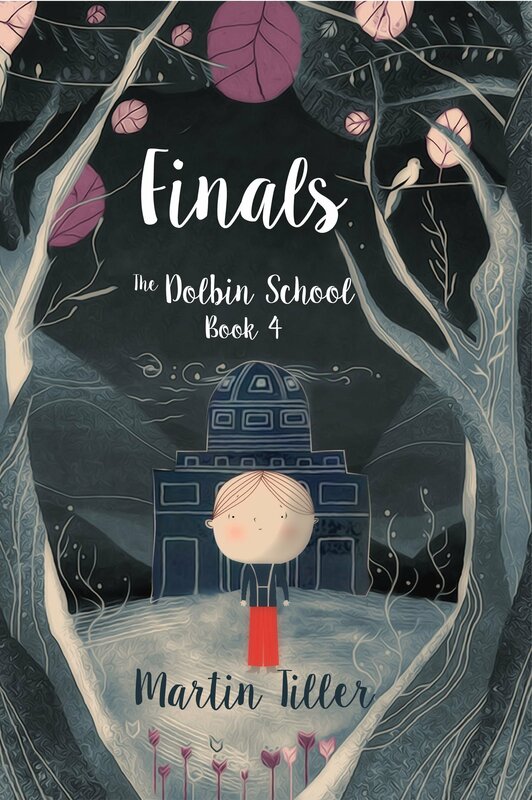 Dolbin School for the Extraordinary is free today and tomorrow. The free days on Amazon aren’t the same as they once were just a short 10 months ago. But they can still bring in reviews and get drive people to other books. So anyway my newest books is free today and tomorrow, but I don’t see me using another free day after that. If you do pick it up, please leave a review, because you’re awesome. You know you are. Click here to get the book at Amazon. This entry was posted in Announcements, Indie Writing and tagged Dolbin School for the Extraordinary, Free Kindle Books on November 7, 2013 by mctiller. New Paperback proof for Dolbin School for the Extraordinary. Got the first proof back today for the paperback of Dolbin. Tonight’s lesson is I see formatting issues that I should have caught in Photoshop and Indesign, but I didn’t see until I had a physical copy in hand. Lesson learned. It will be ready soon, and when it is it will be definitely be a part of the Matchbook program. This one is big enough to fit the title and my name on the spine. This entry was posted in Announcements, Indie Writing and tagged Dolbin School for the Extraordinary, paperback, proof on November 4, 2013 by mctiller.